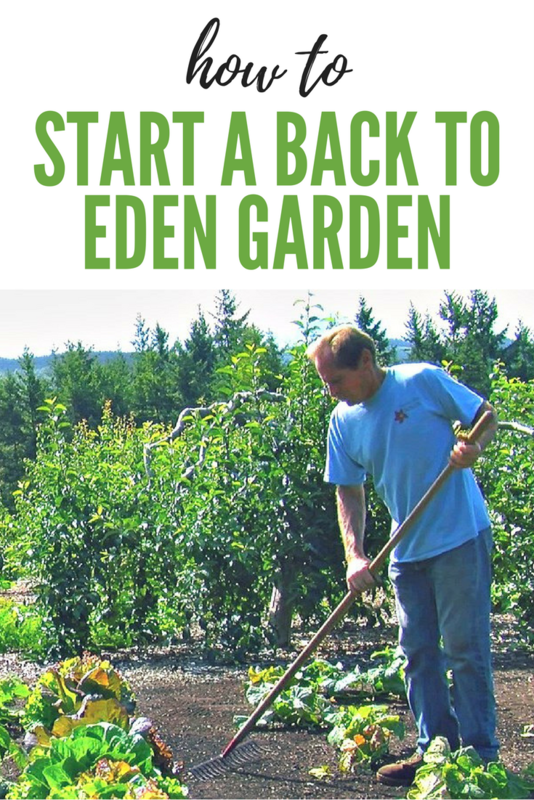 There is a garden nestled among the trees of Sequim, WA, that has gained worldwide attention through an internet documentary called Back to Eden. The documentary stars a humble, but revolutionary, gardener named Paul Gautschi and his home garden. Paul will grab your attention when he tells you his gardening methods, which are contrary to traditional techniques. For example, he hasn’t watered his garden in 34 years. He doesn’t rotate his crops. Pests and weeds don’t seem to be a problem for him. He doesn’t ever till his soil. His only gardening tools are a rake, a shovel and a wheelbarrow. And yet, the food he grows is juicier and sweeter than anything I’ve ever tasted, and is more nutritious than anything you’ll find in the organic section of the grocery store. Best of all, his methods are completely free. So how does he do it? I visited his garden a couple of months ago to see for myself. Paul gives a free tour of his home garden every Sunday. (He appreciates it if you call ahead.) The first thing I saw when I pulled up was a group of about 20 people standing in front of an impressive orchard of bonsai-shaped apple trees. Paul later explained that the apples are very heavy due to their high water content, so he prunes the branches to hang lower to the ground. Wood chips cover the ground below the trees, and therein lies the secret to Paul’s gardening success: the covering. 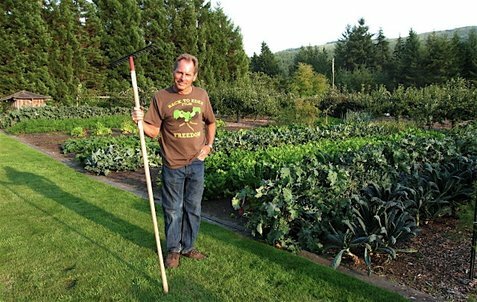 According to Paul, covering his garden with wood chips is not only the secret behind his low-maintenance, high-yield gardening technique, but it is also the reason his produce is so juicy and sweet. Paul doesn’t use fertilizers, only compost from his chicken pen and free wood chips from his local tree service, who are in need of a place to unload their scraps. In this case, one man’s trash is literally another man’s treasure. He never mixes the compost and chips together, as the chips would leach nutrients from the compost as they decompose, but instead layers the chips on top of the garden. The wood chips contain precious minerals from deep within the earth, accessed by the tree’s deep root system. The chips give these minerals to the garden over time, growing mouthwatering, nutrient-dense fruits and vegetables, which, he says, get juicier and sweeter with each passing year as his soil continues to improve. Paul says tilling the soil each year does more harm than good, as it disrupts the thriving ecosystem in the soil. We traditionally till the earth each year because the soil becomes compacted over the course of the season. 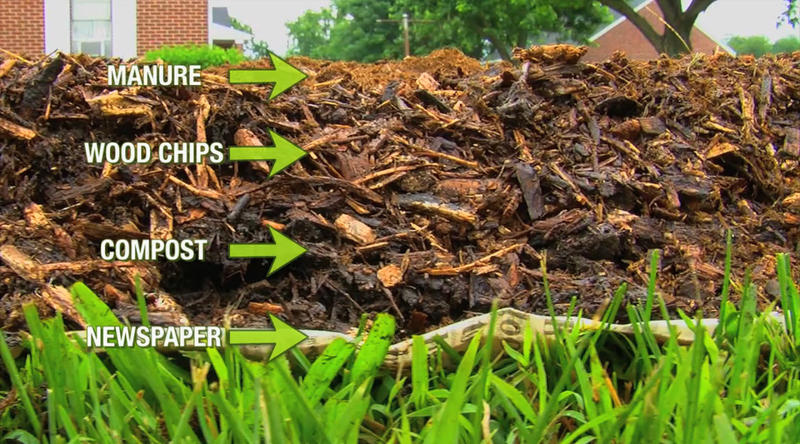 With wood chips, however, the soil never compacts. In fact, it retains the perfect amount of oxygenation and moisture, without ever watering it. His soil is rich, black and loose –black gold at its finest. The covering also creates a constant food source. Paul says, “As soon as you put covering on the ground, water going through it creates tea and fertilizes the plant.” His plants are fertilized every time it rains. His methods go against our current gardening paradigm, however they imitate the ways of nature. Each year, the leaves fall, covering the ground and composting over the winter, until the blooms come again in the spring. No one ever fertilizes or waters nature, and yet the forest grows effortlessly. Paul works with these principles. A short article such as this can only begin to touch upon Paul’s gardening wisdom, but I hope that this piques your interest.  If you would like to learn how to grow a low-maintenance, high yield garden full of nutrient-dense, organic food, I encourage you to watch the Back to Eden film here on The Nature Life Project. (The producers of the film are now allowing us to stream the full film for free for my readers. 🙂 ) I was so intrigued that I had to see his garden and taste his produce for myself, and let me tell you, the proof was in the apples. His garden is a living reminder of what food is supposed to taste like, and it is nothing like what we buy at the grocery store.